Mankind is facing a new threat of swine flu. A few years earlier, bird flu and SARS caused panic all over the world. 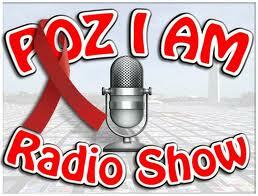 AIDS has been on the top of the list of “scary” diseases for thirty years. Where are millions of victims of SARS and bird flu? Where is deserted Africa allegedly doomed for total extinction from AIDS? Gor Shirdel, M.D. of Irish descent who is currently practicing in Kiev, has cured two patients from AIDS. “I don’t believe that AIDS is incurable. Weak immune system is an issue that has been around for at least 200 years. It can be solved. 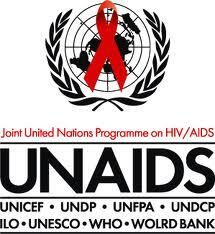 Viruses found in the blood of those with AIDS is not the cause of the disease, it’s a consequence of immunodeficiency. "The world thinks AIDS is incurable because two doctors, an American Robert Gallo and a Frenchman Luke Montanye, managed to convince the world in the early 1980s that AIDS is caused by "human immune deficiency virus" (HIV). 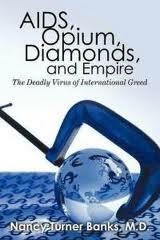 Montanye even received a Nobel Prize for his “discovery.” Yet, they cannot find this virus in the human body. 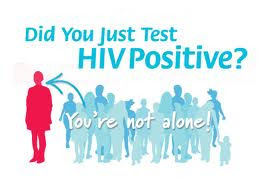 AIDS patients are diagnosed through the tests that register antibodies in blood, not HIV. This nonsense about "10% of Europeans immune to HIV" is just the latest attempt to explain away why there has never been a white western heterosexual "epidemc" of "HIV disease." The other way to explain it is that there never has been an "HIV disease." That is, there is nothing pathogenic about one of thousands of strings of retroviral code written in nucleic acid and covered with a little protein. It is the biggest fraud in medical histroy. Of course, there has always been immune suppression, from multi-factorial causation, relating to unhealthful behaviors, ingestion of toxins and the psychogenic effects of being hated and oppressed minorities, both gay and black and drug users. According to biologists at the University of Liverpool the plagues of the Middle Ages have made 10 percent of Europeans HIV resistant. Scientists managed to back trace the mutation to 700 years ago, a time when plagues, including the bubonic plague, were sweeping across Europe. The places hardest hit by the plagues are the ones that now have the highest levels of resistance to HIV. Professor Christopher Duncan and Dr Susan Scott from the University of Liverpool’s School of Biological Sciences used a computer model to show how selected diseases provided the evolutionary pressure necessary to force the frequency of the mutation up from 1in 20,000 to the values today of 1 in 10. These resistant individuals carry a mutation known as CCR5-delta 32 that inhibits the CCR5 cellular receptor used to gain access to the immune system by HIV and other diseases. The mutation effectively presents immunity to HIV and other diseases that use the CCR5 cellular receptor as a gateway into the immune system. One of the most listened-to and right-wing radio presenters in the US, Michael Savage, has hosted an astonishing segment by Robert Scott Bell exposing on national media in the US for quite possibly the first time, serious flaws in the HIV/AIDS paradigm. 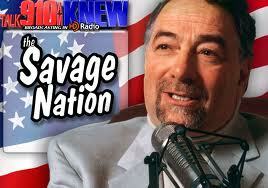 Michael Savage has described himself as being 'To the right of Rush [Limbaugh, another right-wing radio show host] and hit the headlines in June 2009 for being the first top US media personality to be banned from the UK, the first to be banned from any western nation according to his own webpage. He regularly gets between 8-10 million listeners a week and is in the top 3 or 4 most listened-to and widely-syndicated radio shows. 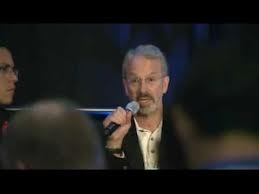 It is therefore all the more astonishing, as right-wing commentators are generally regarded as being more sympathetic to medical authority, that he allowed Robert Scott Bell to do the piece exposing corruption of science in AIDS research... 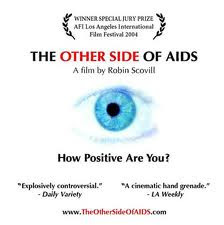 He plays some of Luc Montagnier's comments revealing the impotance of oxidative stress as a key role in AIDS, as revealed here, and also reveals the lack of sexual transmission revealed by the Padian study. This is worth listening to on it's own account, but especially, having been asked to preserve that segment as it is expected it may be withdrawn from official sources, you can listen to it here. Governments will meet at the United Nations in New York for an HIV/AIDS Summit from 8th to 10th June, to discuss the global response to the epidemic over the next five to 10 years. In the lead-up to the UN High-level meeting, MSF is releasing a series of five videos that illustrate innovative tools and models that could help make improved HIV treatment accessible to many more. *Why do site like this seem to not allow comments? "Sorry, comments have been disabled by the owner of this video." Not the most well written article on NewsMax. 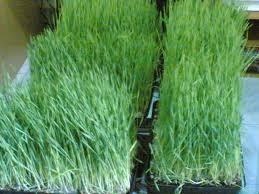 These are sought for symptomatic relief and boosting the immune. Certain herbs like Tinospora cordifolia, Emblica officinalis, and Glycirrhiza glabra are effective in HIV treatment. These medications ease HIV symptoms and also enhance the immunity of the body. Similar benefits are achieved by Chinese cucumber, carrots (beta-carotene), and St John’s wort. 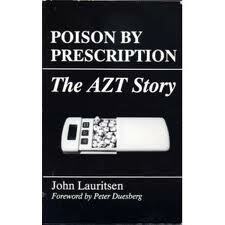 Poison By Prescription: The AZT Story and The AIDS War. *Tony Brown's Journal (1977-2008) was the longest running of all PBS series. It was selected by the New York Daily News as one of the 10 top television series of all time. Tony Brown won many accolades, including Educator of the Year and Communicator of the Year. GUESS WE GOT IT, uh? Gay Fuel was an energy drink marketed by Florida-based Specialty Spirits, LLC towards the gay community, using the slogan "GET FIRED UP." Some refer to it as a "graphite smoothie".Gay Fuel was similar to Red Bull, except the liquid was dyed bright pink and elderberry flavored. 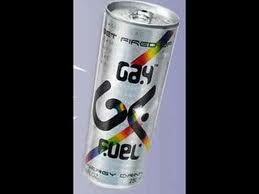 Its makers claimed Gay Fuel contains a blend of sexual stimulant herbs and immune system boosters. The can was silver with several rainbow stripes. (NaturalNews) Elderberries are primarily found in North America and Europe. Referred to as the `medicine chest` by Hippocrates, these berries have been researched and proven to contain many medicinal and health benefits. In 1995, Elderberry juice was used to treat a flu epidemic in Panama. Scientists even used these powerful berries to help treat AIDS and cancer. Thirty years ago, the CDC published its first mention of the HIV virus. In honor of that anniversary we take a look back at the most important moments in AIDS history. Click through the timeline to see the people and events who will forever live in our memories. The graph underneath shows the trends of HIV/AIDS-related deaths, HIV diagnosis and the prevalence of those living with HIV or AIDS during this time period. (NaturalNews) Today's doctors-in-training are learning how to think critically and clearly about the need for -- and potential dangers of -- any drugs they prescribe. And surgeons only operate if they are physically and mentally able to make sure they will not be putting their patient in any danger, right? Unfortunately, two new papers show that those assumptions are wrong. In fact, they reveal critical reasons why mainstream medicine can be a danger to your health and even threaten your life. After a Michigan Messenger investigation, Missouri is no longer requiring HIV-positive individuals to sign a document acknowledging the state’s reckless exposure law in order for those persons to qualify for federally funded medical programs. POZIAM.com, says the HIV is 100% accurate. Really? 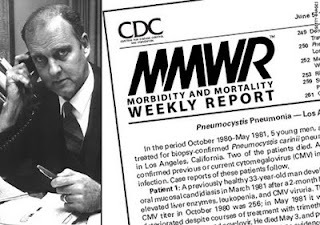 James (Jim) Chin has been at the forefront of public health epidemiology for decades. 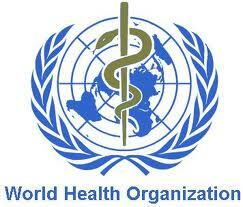 He works in public health surveillance and prevention of communicable diseases. He has studied the AIDS pandemic from the early 1980s in California – where he was responsible for surveillance and control of communicable diseases – to the late 1980s at the World Health Organization in Geneva, Switzerland, where he was responsible for developing the methods and guidelines for global and regional HIV/AIDS surveillance. During his public health career, he has held leadership positions at state, national, and International organizations and received recognition for his work as an infectious disease epidemiologist. Since his resignation from the WHO Global Programme on AIDS in 1992, he has worked as an independent consultant for different international agencies to evaluate the patterns and prevalence of HIV in developing countries – primarily in Africa and Asia. 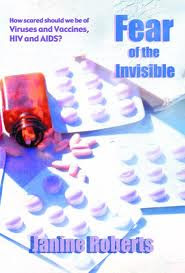 Dr. Chin’s book The AIDS Pandemic: The Collision of Epidemiology with Political Correctness (2006), takes a critical look at HIV/AIDS estimates and the international response to AIDS. Thoughts on Jim Humble and MMS? MMS1 Protocol Successful for 800 Persons with HIV. The average annual cost of ART ( antiretroviral therapy) - - per patient in Brazil was $4,459 - - compared to over $10,000 in most of the developed world—totaling only $242 million per annum. The reason we made the following documentary Power to the People was that the Media misrepresented us and called us all kinds of names – Quacks being one of the nicest ones. We decided to put it all on film with a view of getting it on Television, so people could see it with their own eyes and judge the results for themselves. We went to the hills of KwaZulu-Natal, the epicentre of AIDS in the world, in an area where there was hardly any electricity or tap water. We thought if we can prove that our Wellness Program works there, it will work anywhere! 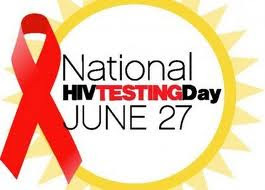 "Did you know that many HIV positive people are living healthy lives, well without any medication, for many years? We discovered many other things that you probably don't know and you possibly would like to know." The Food and Drug Administration (FDA) approved a new drug to treat HIV infection on Friday. The drug, made by an arm of Johnson & Johnson, will be sold under the name Edurant, and is designed to be used in combination with other antiretroviral drugs in HIV-positive adults who have not received any prior treatment or therapy. Side effects included depression, insomnia, headache and rash. Bloomberg reports that the FDA's approval of the first new anti-HIV drug in three years "clears a hurdle for a planned combination pill with Gilead Science Inc.'s Truvada that may generate more than $1 billion in annual sales." AHF's survey, which was presented yesterday as part of an HIV PrEP Symposium at UCLA, raises questions about the use of Truvada as an HIV prevention pill-or pre-exposure prophylaxis (PrEP). The online focus group was designed to determine "real world" reactions from prospective consumers about taking PrEP and to gain further information about potential adherence issues and the pill's possible impact on condom use. China has “drastically” cut the number of deaths from HIV-Aids by handing out free anti-Aids drugs in an example that could encourage other Asian nations to tackle the disease more forcefully, a study published by The Lancet medical journal has shown. The death rates among HIV/Aids sufferers fell by 60 per cent when they were treated with anti-retroviral drugs, according to the study which was the first major assessment of a Chinese government scheme to hand out free anti-retroviral drugs. On Friday I chaired a lively meeting of the Institute of Human Virology at the University of Maryland School of Medicine, founded by leading AIDS researcher Dr. Robert C. Gallo. The week before, Bob had announced that we had received $23 million in new funding for an HIV/AIDS vaccine. The funds came from the Bill and Melinda Gates Foundation, the U.S. Army, and others, including the National Institutes of Health. I thought about how much had changed since Bob had co-discovered the AIDS virus in 1984 and since 1996, when then-Governor Parris Glendening and I recruited him and his team to Maryland. While researchers are still struggling to develop a preventive vaccine, the treatment of HIV/AIDS has drastically changed. For most of the developed world, HIV/AIDS has been transformed from a death sentence to a chronic disease. 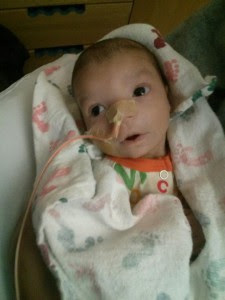 ...his doctors battled the killer that had infected him. Dr. David Ho had begun experimenting with a promising new weapon: a cocktail of antiretroviral medications that seemed to keep HIV in check and prevent patients from developing full-blown AIDS. An investigation into the activity of antibodies in HIV patients has revealed that the HIV virus can mutate in order to 'escape' this immune response. An investigation into the activity of antibodies in HIV patients has revealed that the HIV virus can mutate in order to ‘escape’ this immune response. In this episode, David and Terry discuss groundbreaking HIV/AIDS news, with a focus on how more and more people are rethinking AIDS – and are being recognized, worldwide, for doing so. For example, Dr. Nancy Turner Banks, a recent guest on Episode 26 of our show, received a gold medal on May 11, 2011 from the Independent Publisher Book Awards. We also discuss several new “Rethinking AIDS” video documentaries released worldwide. We finish the podcast by remembering Karri Stokely, a caring and compassionate woman, who had taken AIDS drugs for over 10 years before discovering our work. We are saddened to lose Karri, yet we are equally empowered to continue our journey rethinking AIDS because of her. A new study shows a 96% reduction in transmission of the AIDS virus to spouses and partners when HIV-positive people take anti-AIDS drugs. The drugs were unexpectedly effective. More Media Rhetoric / choice of wording. There is NO Break though. The 11 Drugs do not reduce Transmission. "...can reduce the transmission of the virus to spouses and partners by 96%"
"...were 96 percent less likely to pass on the infection"
-everything is based on CD4 level. Can you name which country define AIDS with a low CD4 level? -Try to think of this the other way around. What if these people in the test would have never gotten the HIV virus in the 1st place. Was that taking into consideration? NOPE. -Why are more people NOT taking about Dr. Nancy Padian 10 years study? How about this fact it's cost 73 million dollars to study 1763 couples. That's 41,406.70 per couples. To give them Free Drugs. Just think about that? long distance calls? Shipping? Salaries? In what is being hailed as a landmark breakthrough in HIV prevention, a new study has shown that giving anti-AIDS drugs to HIV-positive people can reduce the transmission of the virus to spouses and partners by 96%, U.S. researchers said Thursday. Labels: AIDS drug assistance programs, AIDS Drugs, Aids Symptoms HIV TEST, AIDS Testing, big pharma, Dr. Anthony Fauci, Dr. Nancy Padian, HIV skepticism, HIV/AIDS hypothesis, How Positive are you? 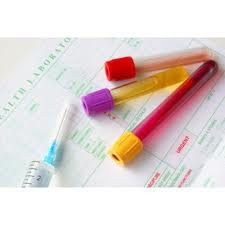 What different tests are used to test for HIV? 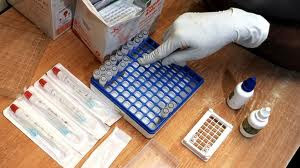 Promising Aids vaccine trials start in Kenya ??? HIV is essentially a chronic, treatable disease.